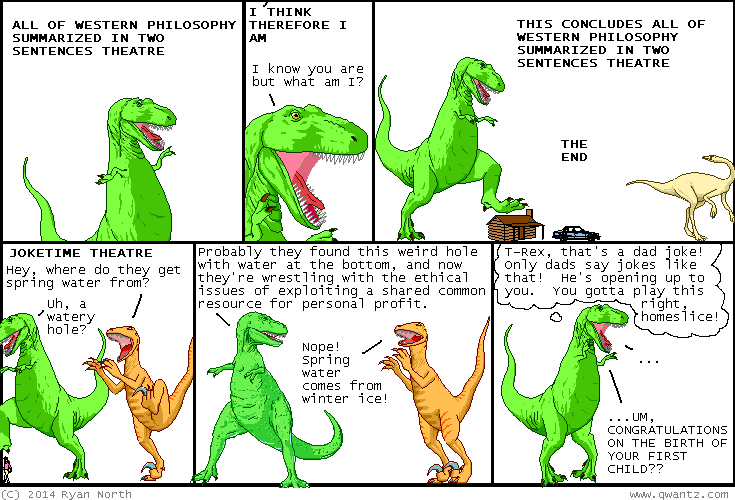 Dinosaur Comics - April 10th, 2014 - awesome fun times! –Maybe it gets boring when everyone's super nice to you all the time! April 10th, 2014: Thank you to everyone who's supported my micropatronage campaign so far! There are over 200 RAD PEOPLE making these comics happen as we speak and that is so crazy and amazing! If you'd like to help out, check out the campaign and what prizes you can get. 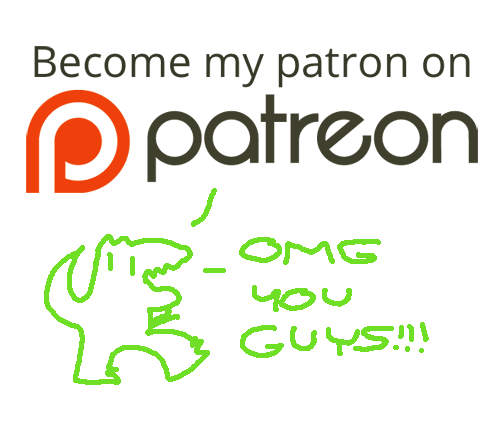 Patrons are already reading tomorrow's Dinosaur Comic today, either because backing Dinosaur Comics gives you a time machine, or because they have ascended to godlike status. Maybe there's a third option too. ONE WAY TO FIND OUT? ?